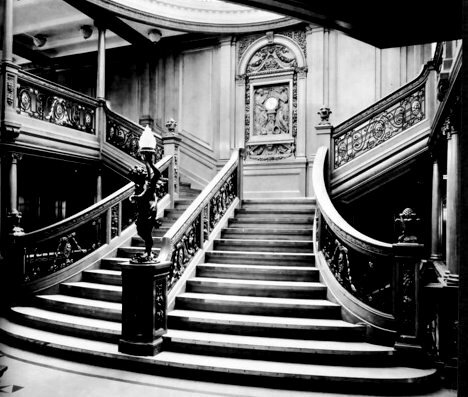 Grand staircase of the Titanic. Image via Retronaut. 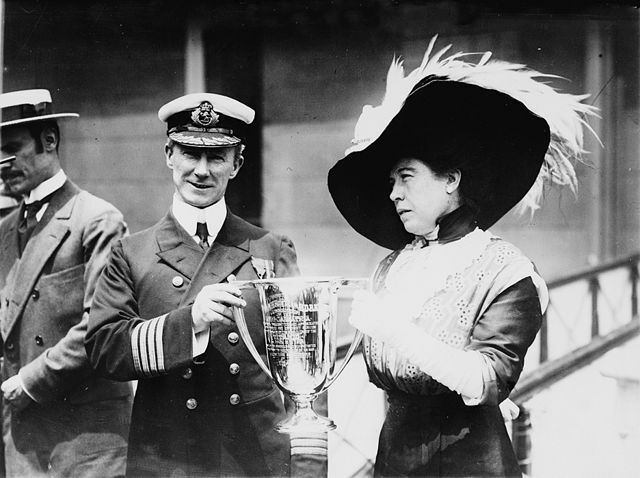 Unsinkable Molly Brown presenting a loving cup to Captain Arthur Rostron, master of the RMS Carpathia, the ocean liner that rescued the survivors from the Titanic. Image via the Library of Congress. **and I may have gotten the tiniest of lumps in my throat upon my first viewing of the 3D trailer in the theatre. Don’t you judge me! I was young and impressionable! You are currently reading Reading List || The Titanic Edition at Quite Continental.